This week’s Australian Open—one of the most prestigious and globally recognized championships in the game of golf—tees off Thursday at The Australian Golf Club for a record 19th time. The Australian, twice redesigned by Jack Nicklaus, hosted the first Australian Open in 1904. World No. 1 Jordan Spieth, the 2015 Jack Nicklaus Award winner as the PGA Tour Player of the Year, returns to Roseberry, New South Wales, to defend his title after a banner season that included wins in the Masters Tournament and the U.S. Open, along with the Valspar Championship, John Deere Classic, and the TOUR Championship. Spieth has credited his six-shot win at last year’s Australian Open, including a course-record 63 in the final round, as the impetus to his phenomenal 2015 season. Golf fans in the U.S. can watch the drama unfold on Golf Channel Thursday through Sunday from 2:00 p.m. to 7:00 p.m. ET. The tournament is being broadcast in Australia on the Seven Network Thursday through Sunday from 12:00 p.m. to 5:00 p.m. AEDST. This week’s event puts an exclamation point on a run that has seen a Nicklaus Design golf course host a professional tournament worldwide for eight of the last 10 weeks. 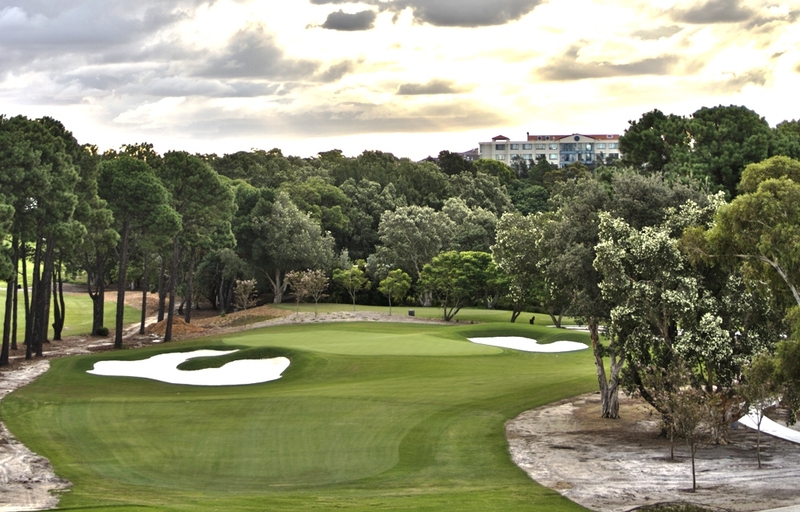 The Australian Golf Club is the 30th Nicklaus Design course to host a professional event in 2015. The Golden Bear was first brought in to redesign The Australian by long-time friend Kerry Packer—an Australian media magnate who was involved in sponsoring the Open. Nicklaus had played in one or two Australian Opens before meeting Packer and being asked to provide design help when the championship returned to The Australian Golf Club in the 1970s. When the Golden Bear returned to The Australian in 2012 to renovate the course and provide some design tweaks, he was greeted by a membership that surprisingly wanted to sharpen the layout’s teeth. Today’s course is the good stern test Packer always had in mind. Stars such as Adam Scott, Marc Leishman, and Steven Bowditch—all members of the International team in last month’s Presidents Cup—are among more than 80 Australians in this week’s field. They are joined by recent Australian Open winners Spieth, Greg Chalmers, Peter Senior, and Geoff Ogilvy. Other international notables playing this week are England’s Lee Westwood and Irishman Darren Clarke, the European team captain for the 2016 Ryder Cup. “These major championship courses normally throw up 10 to 12 under and that’s pretty much based on the players,” said Tournament Director Trevor Herden. “The players just seem to get it done. They putt and, if you have a look at these putting surfaces, they’ll hole putts from everywhere this week — I guarantee you that.